Storm Collectibles had a great display at the Bluefin Event from Toy Fair 2017! They were showing off their Street Fighter, Mortal Kombat and 1/6 Scale Figure. We’ll break down the figures later. For now, read on to see the photos. We’ll update when more info becomes available. 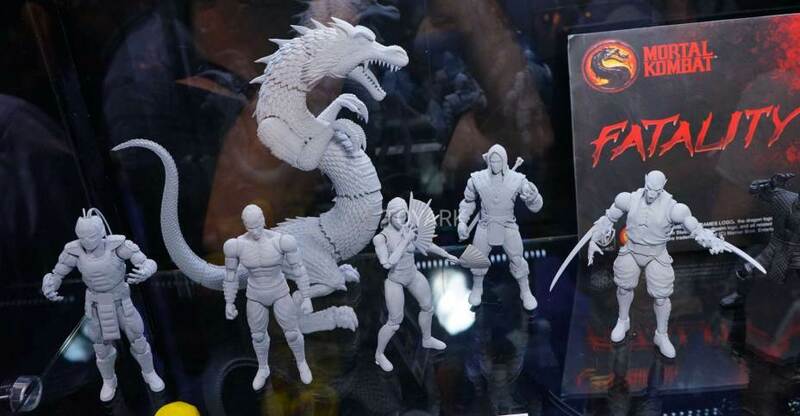 Read on to check out all of the images, including the Mortal Kombat reveal. Storm Collectibles is set to unleash their Hulk Hogan 1/6 Scale “Hulkamania Version” Figure. They have posted a few photos showing off the final completed figure. As we’ve mentioned before, there will be three versions; 80’s Era “Hulkamania Version”, a 90’s Era “Hollywood” Hogan and a Present Day Hulk Hogan. After reading fan feedback and reactions, Storm Collectibles has made a few modifications to their upcoming Hulk Hogan 1/6 Scale “Hulkamania Version” Figure. This looks to include a different head sculpt and alterations to the muscles in the arms and chest. 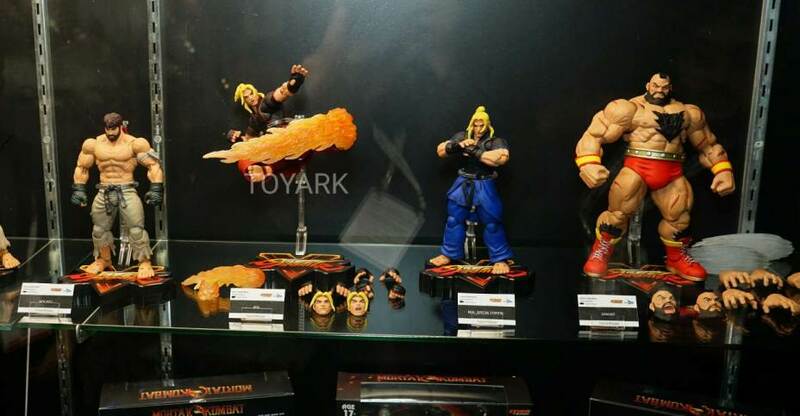 The figure is slated for a release in June and there will be three versions; 80’s Era “Hulkamania Version”, a 90’s Era “Hollywood” Hogan and a Present Day Hulk Hogan. We’ll be sure to update when more images and info becomes available. You can see the new photo by reading on. Hulk Hogan and Storm Collectibles have released a video talking about the upcoming Hulk Hogan 1/6 Scale Figures. Yes, that’s plural. The video reveals that we will get three different version of the Hulkster. There will be an 80’s Era Hulk Hogan, a 90’s Era “Hollywood” Hulk Hogan and a Present Day Hulk Hogan. No new images were revealed, but the video is short and fun to watch. You can check it out Here. Storm Collectibles has posted an updated preview for their upcoming 1/6 Scale Hulk Hogan Figure. 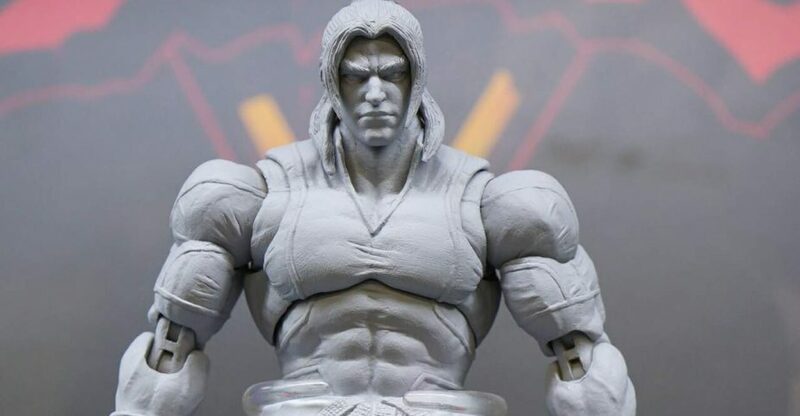 The updated preview gives us a look at the painted torso and head sculpt. They also added a digital composite mock-up showing what the “Hulkamania” bandana will look like on the figure. We’ll continue to bring more images and info as it becomes available. Read on to see the new preview images. What’cha gonna do brother, when these 12″ scale pythons run wild on you? 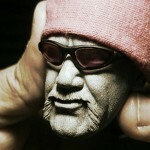 Storm Collectibles has been posting up preview images for an awesome looking Hulk Hogan 1/6 Scale Figure. You may recognize Storm Collectibles from the great looking 1/6 Scale Mike Tyson Figure they currently have up for pre-order. 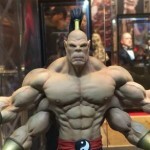 The Hulk Hogan preview pics give us a glimpse at the head sculpt and body type. these are in-progress images, so the look is not final. However, it appears to be a modern take, as opposed to an 80’s WWF style version. These are due out in October. You can see the images after the jump.